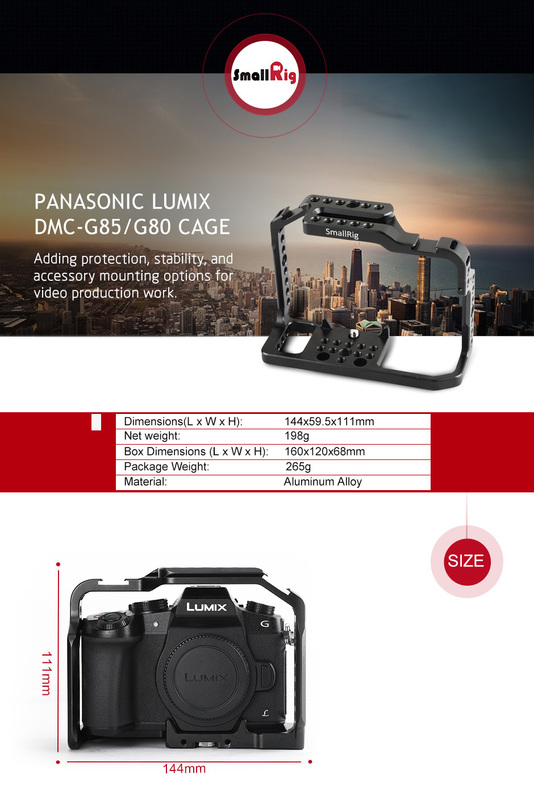 The cage arrived at me yesterday, and I tried it on my Panasonic Lumix DMC-G85 immediately. 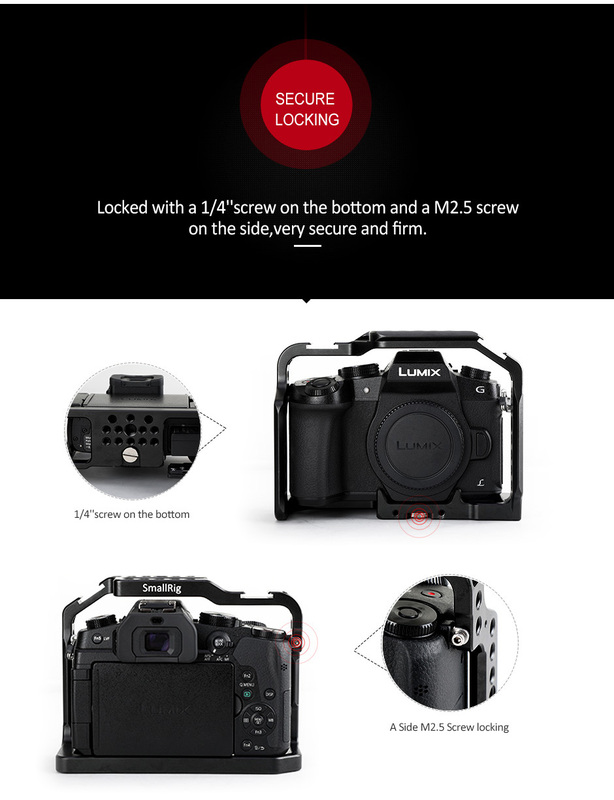 It seems very perfect for the camera and leaves the buttons and ports available. The built-in cold shoes could be mounted with accessories with cold shoe adapter, like magic arm for monitor. The NATO rail could be mounted with NATO handle for handheld shooting. It comes with lots of threaded holes for DIY operations. I want to give it a like! Nice cage and fits the camera perfectly. I like the design of NATO rail on the cage and the design of cold shoe. They are awesome!